New properties have a sales tax called GST; this should have been added to the price before the mortgage was obtained so that no funds are needed for this tax at the time of possession. When you arrange your mortgage loan, discuss having the GST included in the mortgage amount with your lender. For properties under $350,000 the net GST rate is 3.2% for homeowners. Investors who rent out their suite pay 5% GST when they purchase and get a 1.8% GST rebate when they find a tenant who makes the suite their primary residence. In BC there is a sales tax called the Property Transfer Tax (PTT). This tax does not apply to NEW residences under $750,000 when the property is used as a primary residence by a Canadian citizen or permanent resident. The tax does apply to properties over $750,000, all used properties, bare land and commercial/industrial properties. The rate of this tax is 1% on the first $200,000 and 2% on the balance. 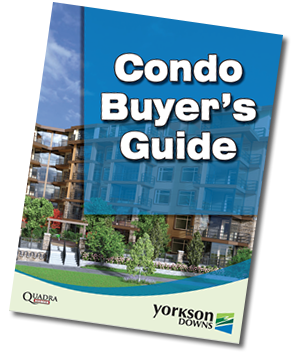 On a $400,000 used condo this tax would be $5,000, but because the Yorkson offering is new condos, the tax will not apply.